A renovated 19th-century home in the north end of Yorkville. The home was built in 1870 and was one of the original properties in the area. The sellers, both real estate agents, showed the home more than a dozen times when it was on the market in 2010, but ended up buying it themselves in 2011. They completed extensive renovations over several years, and now they’re downsizing to a smaller home in Rosedale. The sellers hoped to get between $6,400,000 and $6,500,000, so they listed high, expecting buyers to negotiate the asking price down. There were 13 showings over a four day period. After five days on the market and three offers, the sellers accepted one for $300,000 under asking. 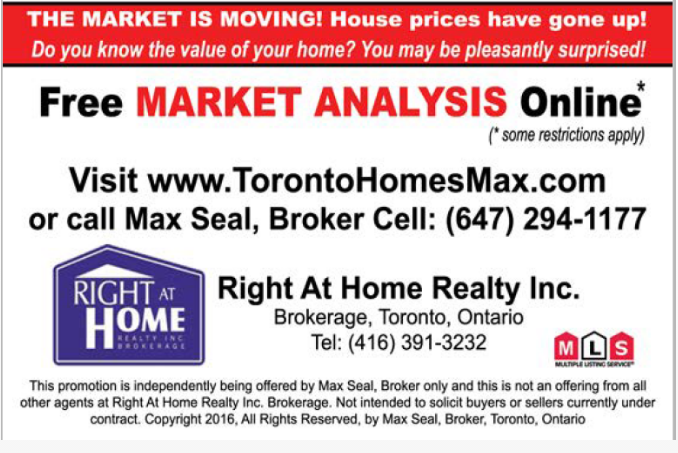 Are you thinking to sell your house in Annex area?